During the holidays, I like to keep my mind flooded with complaints: hate holiday food, hate holiday shopping, hate holiday crowds, hate holiday traffic, hate holiday parties, hate holiday party small talk, hate holiday cheer. Scrooge, scrooge, scrooge. I’ve been broke and alone on holidays so I know that now, while I’m in my warm, pajama’d, made-up ritual of a holiday, someone else is having just another cold day. I spend November and December with my forehead fixed in a permanent frown and all the muscles of my body tense up; my scapulas freeze in place. This year I dug deep to uncover my emotional graveyard. Every time I have an unusually strong emotional response to something, I do some introspection about when it started, why I’m still choosing to react, and how to move past it. This time, here’s the skeleton I found: The holiday season represents everything I judge about myself. One of my deepest fears is that I will be seen as a lazy, boring, stressed out superficial glutton. The holidays represent exactly that to me: lounging around being lazy, having nothing important to do, filling it with unnecessary errands in crowded lines, bantering about the weather, and stuffing my face with food that makes me double over in pain(too much cheese anyone?). How ironic that this season is supposed to be a celebration. Ironic because my experience of unconditional love is exactly that: celebrating a person for simply being, shadows and all. It occurred to me that I could re-craft the holidays as a time for me to forgive myself, a time to appreciate love that is judgment-free, no matter how sloth-like or food-stuffed I feel. This realization was a big grateful teary-eyed heart-opener for me. But… then I came to a choice. If I let go of my story about how horrible the holidays are, I become a different person. Jolly? Chipper? Ew. Being a grinch had become comfortable for me. I knew what bent-out-of-shape felt like in my body. And it was my crutch to prove that I was serious and aware of the world’s poor, sick and lonely. How could I now embrace the holidays in a way that feels genuine? So this is where I am now: I’m pondering how I can be mindful of others and forgiving of myself. Here’s what I’m asking myself: If I had no self-judgment, what would my posture look like? If I had no fear, how would I walk? If I chose to design a different story about the holidays, one of ease and love, how would I feel? What a gift, this season, to allow me to practice loving and being loved. I heard a question recently: "Do I have to believe in acupuncture for it to work?" Here's one sign: acupuncture works amazingly well on animals. That's probably because they don't have thoughts like "I reallly hope this acupuncture helps my hind leg." or "Man, this person's voodoo needles better have extra good voodoo in them." Nope - they just lay there, let a needle slide right in, then get up and get on with the rest of their sniffing-eating-pooping-sleeping day. More and more research shows that the placebo affect is all around us. Placebo means "A substance containing no medication and prescribed or given to reinforce a patient's expectation to get well." The key word here is expectation - that means a person chooses to believe a placebo and increases their own expectation of getting better. For example: In a clinical trial, a person who is given sugar pills may choose to believe they will feel better....and sometimes they do. For that person, does it matter what the pill was made of? Another example: Some people choose to believe that prayer will heal them....and sometimes it does. Does it matter whether the act of prayer or God him/herself has been proven to heal? In the same vein, it doesn't matter whether you believe acupuncture is a placebo or science or magic. What matters is feeling better. Acupuncture is not a belief system. It's tiny stainless steel needles that go into skin (and a beautiful, complex system of medicine, of course....which is why it's taken me 3 years to study how to put needles in skin). The needles I put into your skin don't rely on, don't harm, and don't affect any religious, philosophical, theoretical, scientific, or other belief systems you may have. So rest assured, you can get acupuncture and still believe in unicorns....or whatever suits your fancy. In Chinese Medicine, August is the beginning of the ascent into Autumn. Are you ready? In my clinic we're helping people prepare for the Fall allergy season now. In addition to acupuncture, my favorite ways to keep sinuses clear are: Neti Pot, Peppermint Oil (a little sniff here, a little dab there), drinking water and herbal tea like this amazing one from Teavana. Feel free and contact me with any questions or to book an appointment if the thought of Fall allergies scares you stiff! After grabbing dinner with a friend, Abby, one evening, we decided we’d try to make it to a meditation service even though we’d be cutting it close on time. I was the one driving, a little on the fast side, and I was not familiar with the whereabouts of our destination. As we came close to the building, I noticed – a little late – that the entrance sign was tucked into some corner bushes. I stepped on the brakes to make a quick right turn. Brake. Screech. Skid. Swerve. The combination of my speed, turning action, and a slick spot on the road put my car into a half spin. We began sliding through the intersection squarely in the direction of a few cars perpendicular to us. In those slow-motions seconds of floating diagonally out of control, I felt Abby’s fingers brush my wrist and I heard her say “It’s OK.” Then I felt my body relax. I don’t know how Abby really felt – her response was not the one I would’ve assumed anyone in the passenger seat of a swerving car would have. If it were me, I probably would’ve pulled a mom-driving-with-a-teenager move, clutched the dashboard and window simultaneously while blurting out a prayer/curse word. Somehow, my car regained its balance and we avoided what could’ve been a major collision. I glided into a parking space and let out a sigh. If there were ever a perfect time for a mediation, that was it! We scuttled inside and took our seats. Eyes closed, breathing deep, I could feel the adrenaline coursing through my body. As I was fully feeling my throbbing heart beat, thoughts flooded my mind. First, they were calm, happy thoughts like “Yes! I’m here!” Then, the thoughts changed to “Wait! Something just almost happened! You could’ve killed someone! You’re supposed to feel bad! Guilty! Or shameful!” I realized that if I did take on guilt or shame, it would come from a desire to express respect for Abby’s life. Owning guilt or shame would be a way to punish myself for nearly inflicting unfathomable harm to her and others. When I followed this line of thinking into the enormity of what could’ve happened, my chest felt too heavy to bear. The truth was, thought, that no death or damage actually happened. It became clear to me that I could make a choice of holding onto what could’ve happened, or I could remain in the present, acknowledging what actually happened. And what actually happened moved me. Those two little words - "It’s OK” - reverberated through me in that instant. They changed me biologically. They put me at ease; they set me free from blame, guilt, shame, or punishment. I was pre-forgiven. All of life opened up for me in that near-death moment. If those were the last two words I ever heard, I would’ve entered the afterlife in a state of peace. Abby’s words were a great gift to me. As the meditation continued and my eyes were still closed, still feeling my heart beat, I was flooded with gratefulness. I made the choice to accept the gift, revel in how amazing it felt, and practice giving that gift to others. Couldn’t we all use a little more “It’s OK” in our lives? I really, really like silence. Which is why I haven't posted fresh wordy blogs more often. When I do less and listen to the nothingness, my senses open up and I feel. Then I learn from what I feel. Paying attention to what's going on with the body and how the body feels is what I ask my patients to do. From this awareness comes answers about recovery. This is what I'm practicing: how can I do less and listen more? January, in our culture, has been coined a time for resolutions, a fresh start, a "new you". Gym memberships skyrocket, sales of diet foods increase, and cigarette purchases dip. This economic trend is just as predictable when it comes as when it goes - as soon a February rolls around. 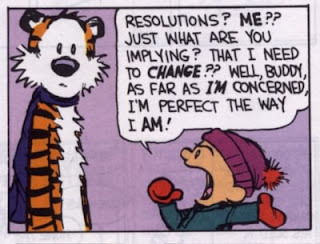 That's when we say, "Resolutions are meant to be broken, right?" Change is the one true constant. Chinese Medicine is based on change. Yin and yang were words created to describe the "shady side of the mountain" and the "sunny side of the mountain" respectively. The ancient Chinese observed that over the course of the days, months, and years, the sun's rays cast shadows on the mountains. The shady spots and sunny spots were ever changing, moving and morphing into each other. Such is life. Our environment is ever changing. The seasons continue to morph into each other. We are ever growing (and then shrinking, once we hit a certain age!). The game in this life is to be graceful in the midst of change. Can we find a way to be easy on ourselves when we make and break resolutions. Can we love ourselves when we're eating another piece of cake or smoking another cigarette. Can we embrace our aches and pains, watching them change when we move, when we wake up, as the sun rises and sets on our day. Can we gracefully be aware of the tension in our back in the midst of the meeting at work or the traffic jam. Can we stay flexible when our schedule fills up. I'm practicing being easy with myself - less blame, more love. Like they say to horses...."Woah... Easy girl." Winter is the perfect season to practice going easy on ourselves. Nature slows down this time of year: animals hibernate, water freezes, seeds sleep in the ground, and darkness keeps trying to tuck us into bed earlier. There are ways we can pay attention to the season so that we are easier on ourselves, appreciate the meaning of rejuvenation, and prepare for the bustling year ahead. Rachel Brumberger and I will be teaching a free community class about thriving in winter on January 21st, 2012, at Crossings in Silver Spring, MD at 10am. If you've found that you have a hard time in winter, or would like to hear more about a Chinese Medicine perspective on the season, we'd love for you to join us! Click here for more details.